Clinic Synopsis: In the world of digital music recording and distribution, it has never been easier for ensemble directors to capture and distribute recordings of their ensembles on sites such as the iTunes Music Store, Amazon MP3, and more. Session attendees will learn how to make quality recordings of their ensembles, how to upload these recordings to online retail outlets, how to pay the required royalties, and how to advertise and sell these recordings through social media outlets. Clinician Biographical Information Dr. James Frankel is the managing director of SoundTree, a leader in music, audio and video technology solutions for educators. Before taking the helm at SoundTree, he was a music teacher in the New Jersey Public Schools for 15 years. 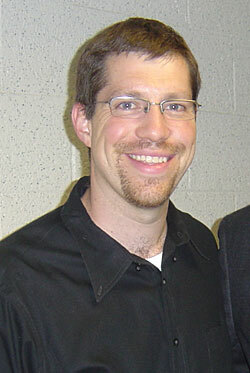 He is an adjunct faculty member at Teachers College, Columbia University where he teaches courses on music technology. Frankel is the author of Teaching Classroom Music in the Keyboard Lab and The Teachers Guide to Music, Media & Copyright Law. He is also coauthor of YouTube in Music Education, Making Music with GarageBand & Mixcraft, and Critical Issues in Music Education.In addition to his writing, Frankel is a highly sought-after clinician in the local, national and international music education communities. He is on the board of directors for TI:ME and is the current president of ATMI.